In the early 2000s, award-winning artist Ian Smith purchased a getaway place on Lamb Island in Moreton Bay. In his exhibition Bay Pastel – City Paintings: Ian Smith, features pastel works about Smith’s comings and goings to the Bay Islands, and oil paintings back in his Brisbane city studio. The exhibition invites the audience to actively play a leading role within his journey, to become immersed in the change of scenery. Smith uses his treatment of other subject matters and applies them to landscape, creating a body of work which is a mutual exchange between the city and island. 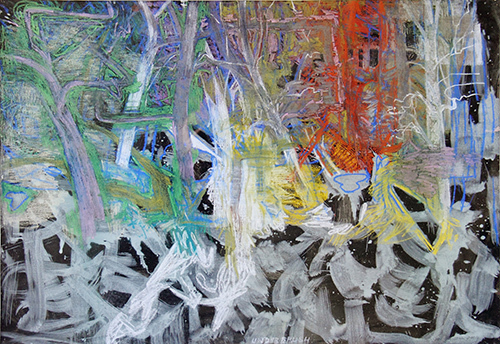 Image: Ian Smith, Under brush (detail) 2009, pastel on paper. Courtesy of the artist.